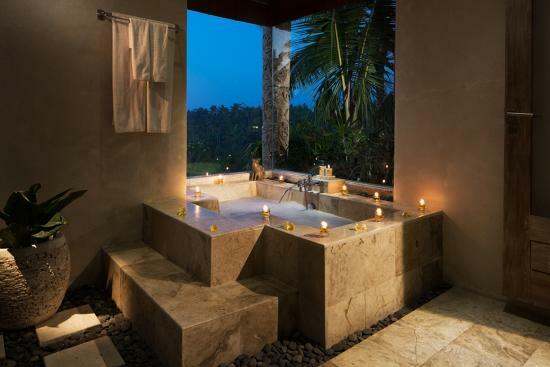 Without doubt Bali is a place on most peoples bucket list. It's full of beauty, bliss and blue beaches and the people of Indonesia are the friendliest you'll ever meet. I had two weeks travelling around Bali and the Gili Islands with my gorgeous man, my sister and her boyfriend and we had a blast. Going in October was a fifty fifty risk in terms of weather, lucky for us we had full on sunshine for most days apart from the last couple of days in Ubud. We landed in Denpasar, the capital of Bali after a long 18 hour flight (to which I slept most of and my poor boyfriend had to endure my foot ending up in his face and food every five minutes) and had a transfer straight to our villa in Seminyak which was so cute, very compact and our outdoors had it's own private pool. Accommodation in Bali is easy to find and very very cheap. 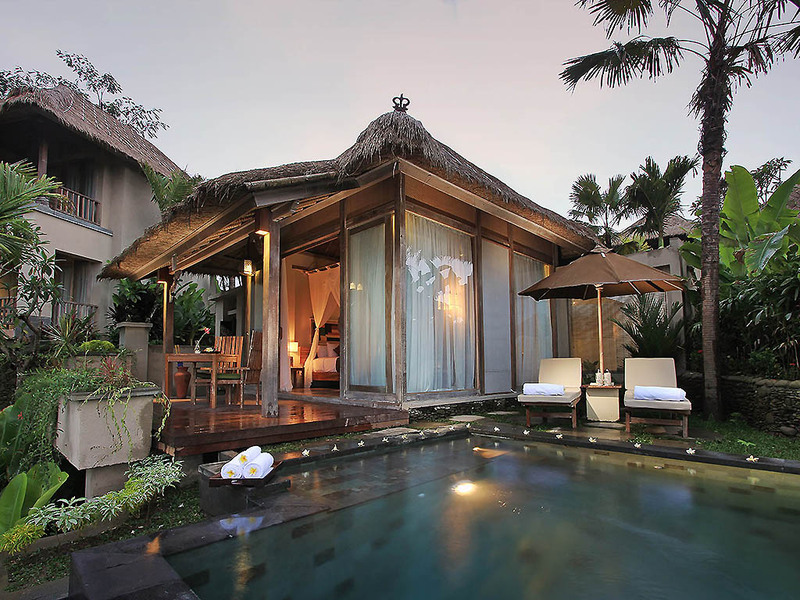 You could easily just turn up to Bali flights only and sort your villa out once you arrive. The Air bnb app was a life saver for us, especially with us moving around so much. 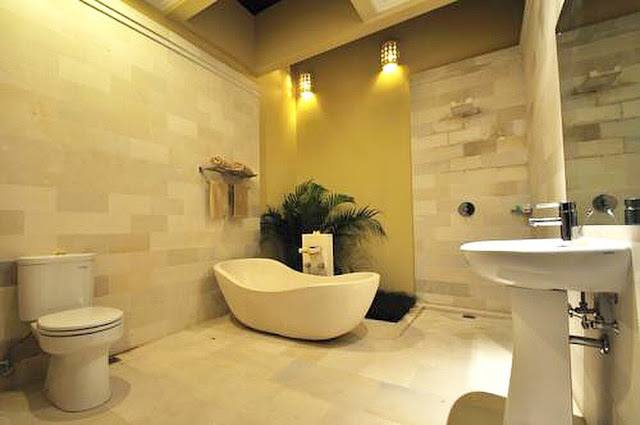 We stayed at the Jas Villas which was pretty centre to everything but out the way enough so we had some peace and quiet. That cost us around £20 each a night. I had this whole image in my head that I was going straight into a relaxed peaceful environment, you know when you've watched the film eat, pray, love and you're expecting that kinda vibe? Yeh, no that wasn't the case. With taxi's beeping there cars at you literally every second, busy bars and restaurants and music coming from most shops it wasn't really the image I had in mind, BUT after dropping off my bags, changing into some decent clothes and exploring, I finally saw the beauty in Seminyak. The decor in the restaurants are so delicate and eating out is literally pennies, even in some of the most 'expensive' places to eat. I was only there a few days before I set of to the Gili Islands and in that time, we ate.... a lot, walked so far along the beach I didn't realise we had a two hour walk back and looked around all the amazing earthy shops Seminyak has to offer. 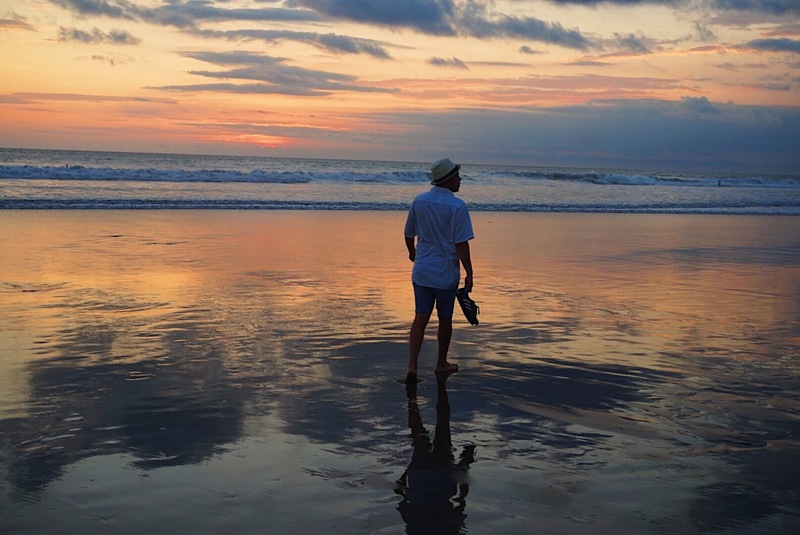 The sea in Seminyak is pretty rough so its difficult to swim and don't expect to see white sands and turquoise seas, but if you love surfing and sunsets, its perfect. If you start walking along the beaches and feel like there is nowhere to stop and take a break keep walking. You'll come to a bar called Finns beach club where the tunes are pumping and you can watch the sunset. 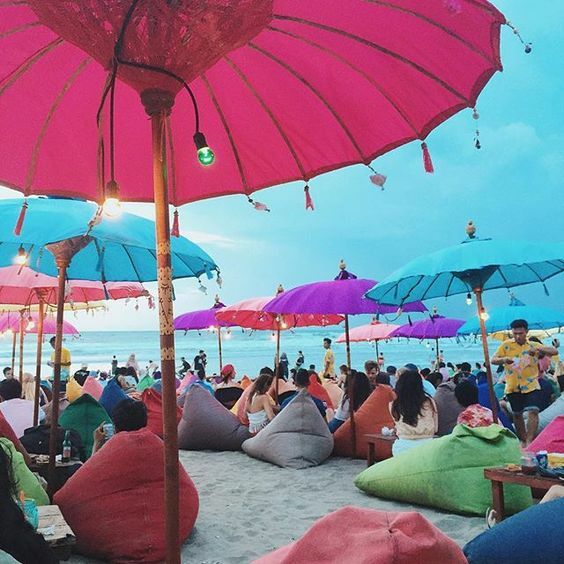 I personally didn't sit at Finns, further down is somewhere a little more peaceful, with endless colourful bean bags for you to sit on, cocktails on tap and soft chill out music so you can relax in peace with the sunset in front of you, and believe me Seminyak sunsets are known for showing off. 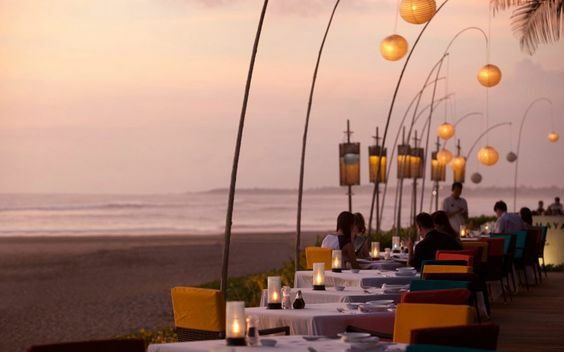 If you want to escape the hustle and bustle of Seminyak centre the restaurants along the beach front are unreal, there are so many to choose from most of them have gorgeous menus and great ambience. We ate at a place called Breeze which sat right on top of the ocean and the menu was just beautiful, definitely more pricey then some of the other places to eat in Seminyak but worth the treat. 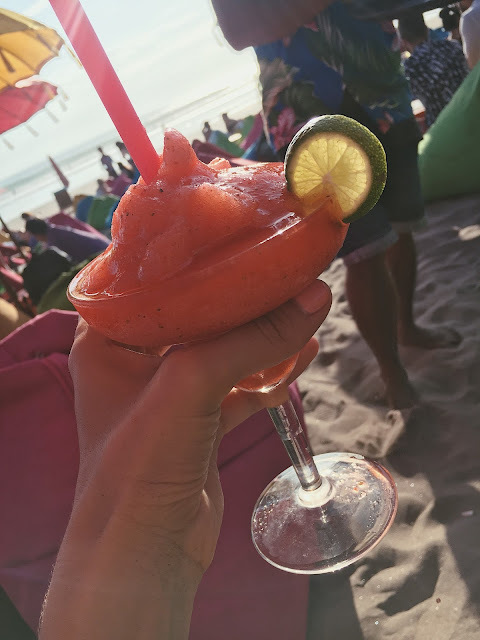 Overall, I wouldn't spend longer the 3 days here, you'll definitely eat well and you'll definitely do some great shopping, but there isn't much more to do unless your in Bali to party. 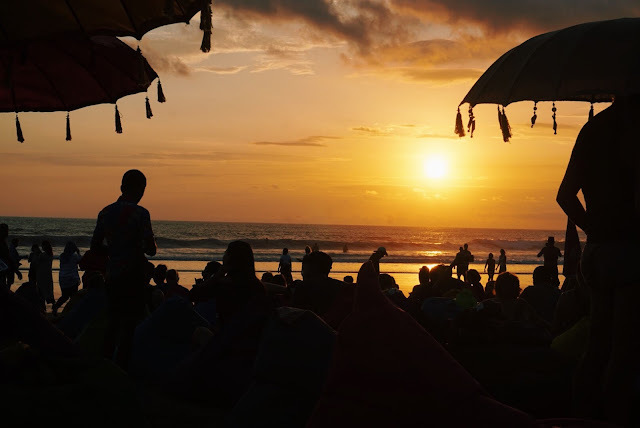 The last destination in Bali, the finale, the happily ever after. I was definitely in my happy place once I reached Ubud, and that wasn't just because I was beyond relieved the boat journey back to main land from the Gili Islands was finally over. (cue the sick bags). 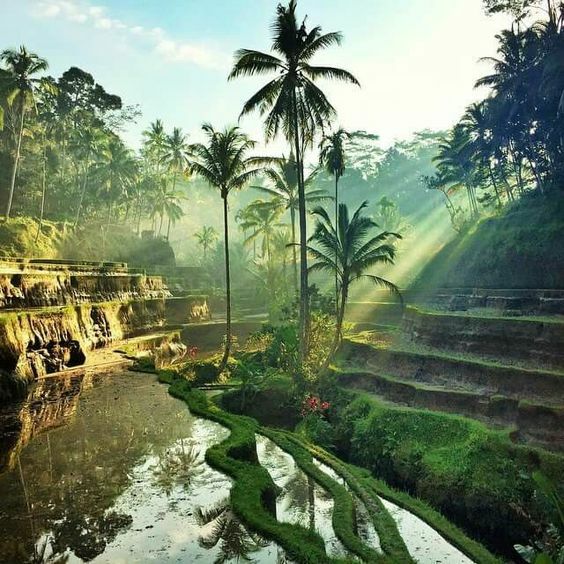 Ubud was just Magical and I couldn't believe places like this even exist. We were picked up from the harbour and taken to our hotel about 30 mins from Ubud centre. 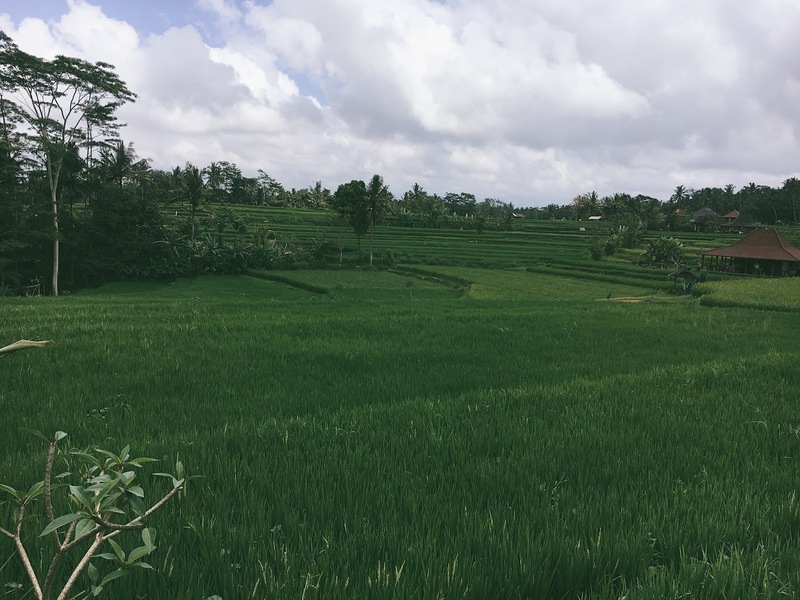 Driving through Ubud I could feel I was finally about to have my eat, pray, love experience. At every corner people were giving gifts to there gods, everything was green and the air was filled with a still peace despite the fact Ubud streets can be quite busy. I couldn't believe it when I pulled up to our hotel which was literally in the middle of the rainforest. We were greeted by the warmest staff at the Puri Gangga resort and spa and taken to our bamboo inspired room with its own private pool, four poster bed with beautiful draping linen curtains and a bathroom that was set just outside our room. Our hotel was so beautiful we really wanted to just enjoy it, so relaxing by the pool, drinking cocktails and swimming in the infinity pool was the only thing on the cards for us (ok I'm just showing of now) but the following day we headed down to Ubud centre to explore. Ubud is filled with travellers and honeymooners so It's very touristy which comes with a lot of the locals trying to get you to buy there products, eat at there restaurants and getting you to catch a taxi with them. 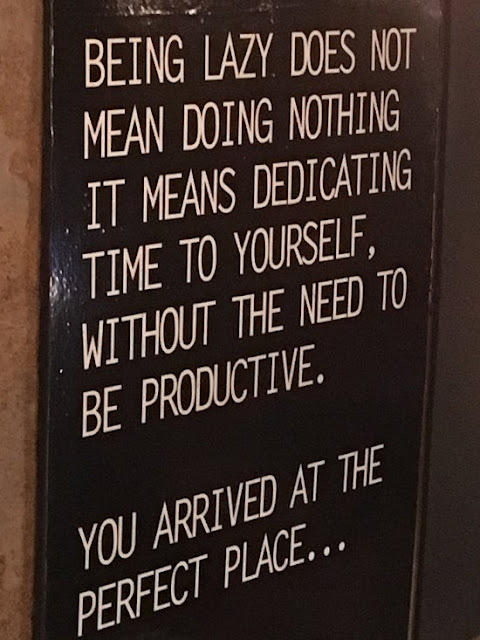 It can sometimes be annoying when you just want to wander for yourself but remember these people are just trying to make a living! 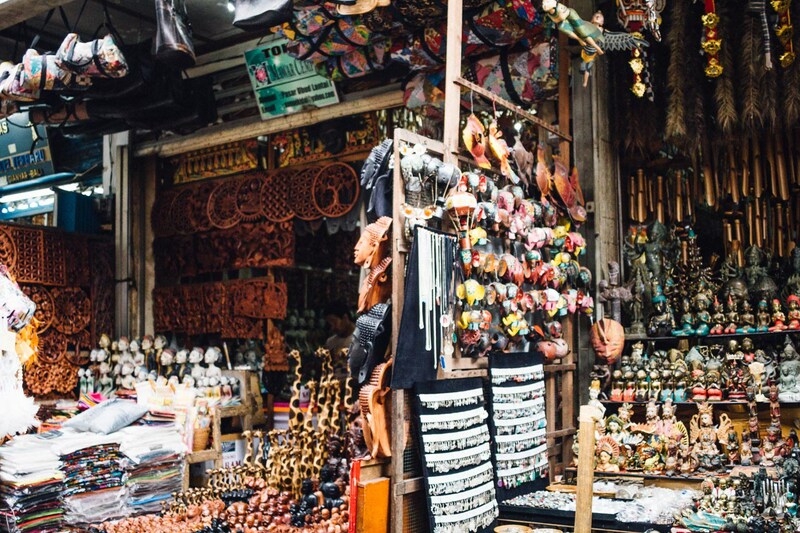 We accidentally ended up in Ubud market (I think my boyfriend regretted this decision as soon as we stepped in) and it was crazy! I'm terrible at bartering with the local people, I always just want to give them what I can but they secretly enjoy it themselves, It's all part of the fun so don't be shy to try and lower the price of your goods. 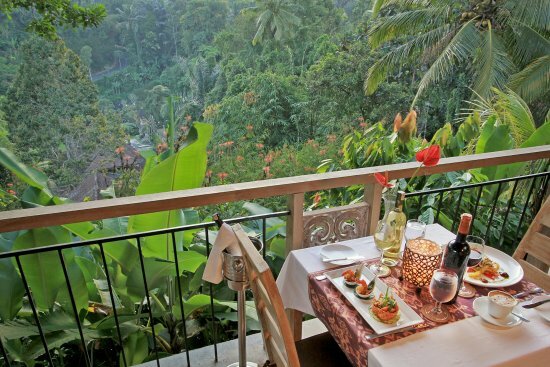 Food in Ubud is very very good, you'll eat so well here. 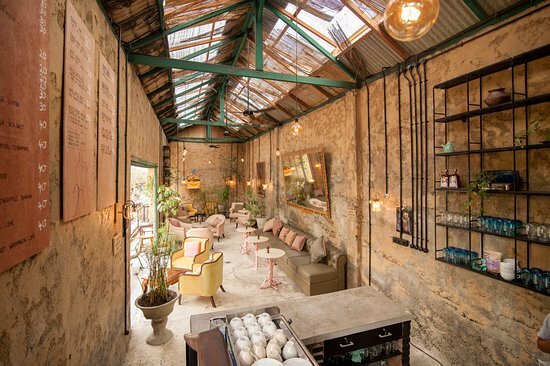 The centre is bursting with boho style cafes and juice bars. 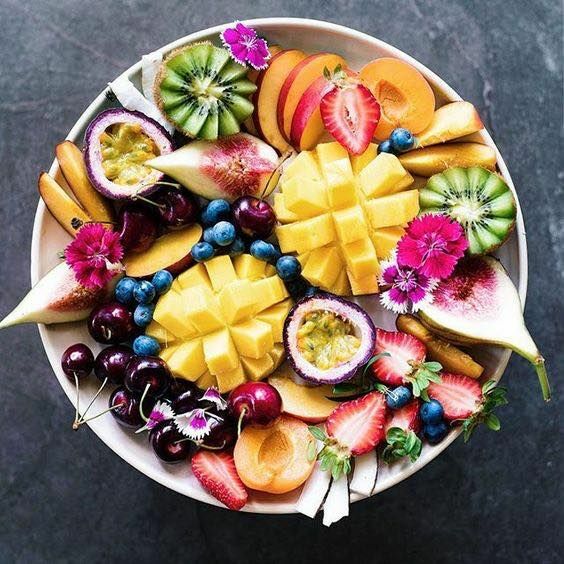 If I'm honest I can't even remember the names of some of the places we ate, but Ubud is filled with wonderful things to munch on so you won't be short of finding a great restaurant or juice bar and for us veggies/vegans Ubud is literally food heaven! we belong there! We visited the most incredible spa I have ever been to in my life, karsa spa. I highly recommend you visit. 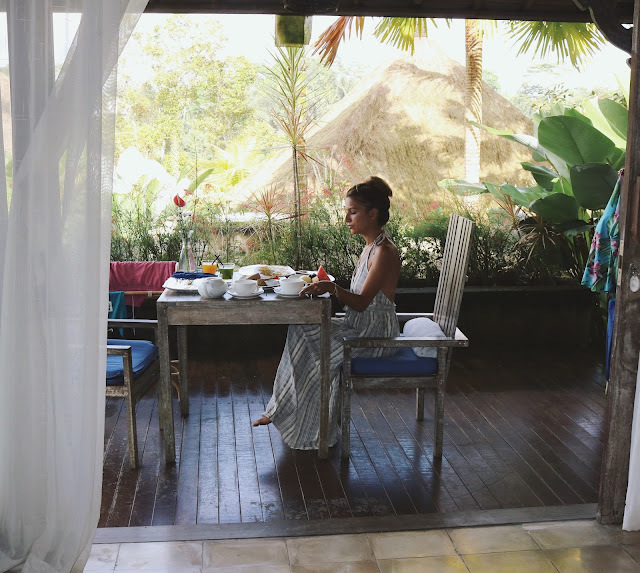 The staff are so kind, taking their time on each one of your treatments not rushing and keeping the area as relaxed as possible so you have that real balinese spa experience you imagined in your head. I can't describe to what the place looks like, It's something you have to see for yourself. 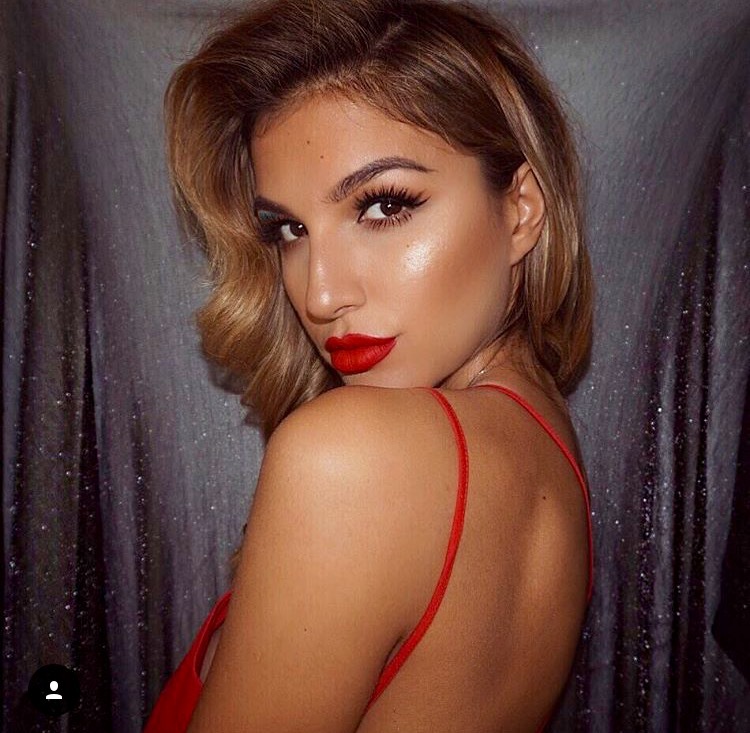 The word dreamy or beautiful doesn't cut it but if I had to use one word it would be Breathtaking. My partner added up all the treatments we had got and all in all we paid £70 (sterling) for two massages, reflexology, flower bath, a reiki massage each and ear candling. I mean you wouldn't even get a full hour massage in London for £70. In between treatments you can eat and drink at the karsa spa cafe which is a treatment in itself. You can sit in the cutest little cabana huts with butterflies freely flying around you can practically touch them. It's really is difficult to want to leave this place. 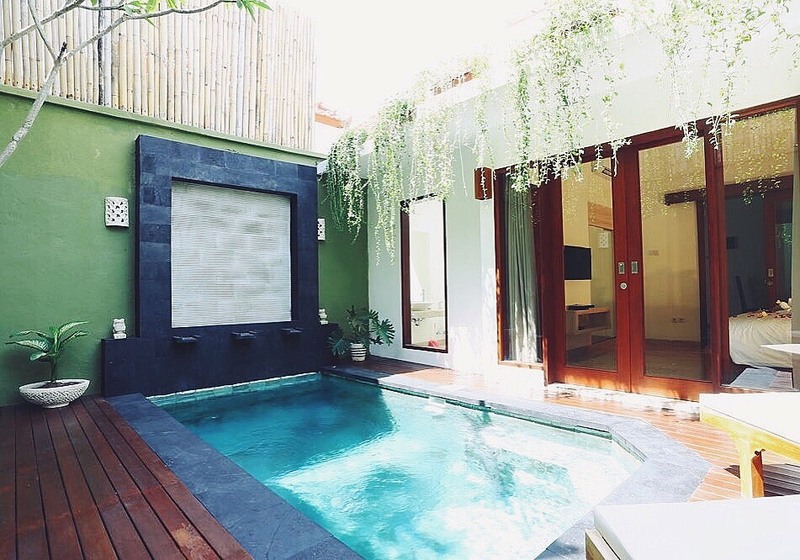 Book before you head to Bali to avoid disappointment. This place gets super booked in advance and a few people were turned away on arrival! We didn't visit the monkey park, I'm never one to visit animals that are kept in parks or cages and I wasn't about to start now. If you want to see monkeys go to the rainforest and catch them swinging around there freely. 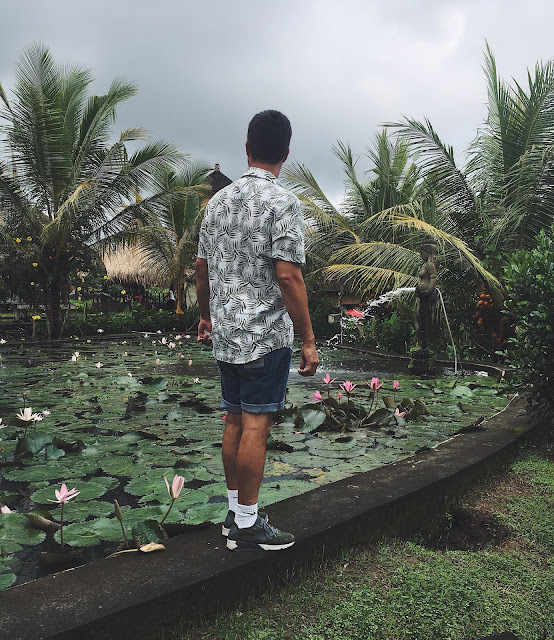 Overall Ubud was my favourite place out of them all and I hope my experience some what helps you on you journey. I have loved blogging about my holiday and can't wait for our next adventure! 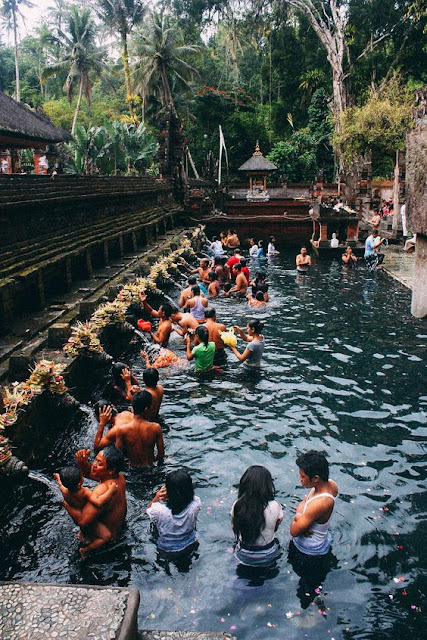 Feel free to leave any comments below about your experience in Bali! I'd love to hear them! Get yourself a Monzo card when going abroad. You can chip and pin pretty much anywhere you go in Bali and the Gilis and you won't be charged for it. You will however be charged a small fee for drawing money from an ATM but it will save you carrying round a whole lot of Balinese money if you're travelling!